Fresh piles of snow on Vallecito Peak. There is a faint outline of “Corn Woman” my favorite, or “Weaver Woman” the trees in the center of the snow field. She will become more prominent as the snow melts. Untitled. We went for a drive last week and spotted a house in Costilla, NM adorned with these small flags. I think they were in honor of Veterans Day a couple of weeks ago. Anyway, they looked colorful along the fence line and this one, against the wall with shadows, stood out in particular. 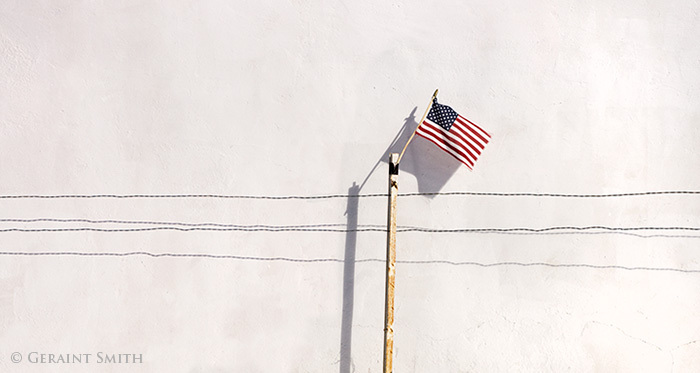 The first few images I made didn’t amount to much as the flag was furled on itself. I don’t like to influence the scene … I mean … I could have got out of the car, unfurled it, made my image and left. As is often the case in times like these, before my thought of contrivance had left my head, the wind whipped up the flag, first one direction then the other. Thanks for looking. Crossing arroyos at this time of year in the Taos Volcanic Field, one encounters slick rock formations where flash flood water collects in fissures and ice forms. 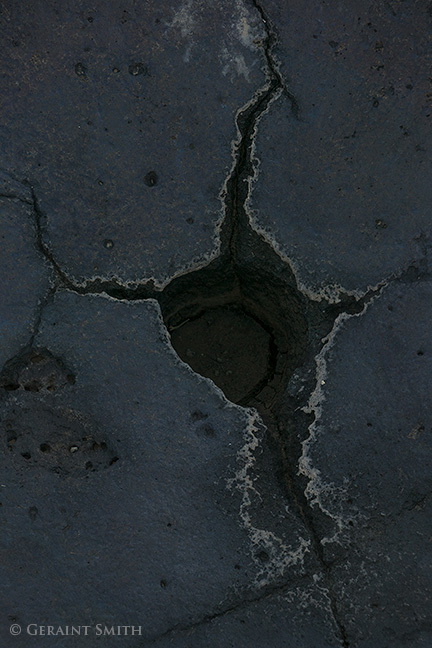 The erosion cycle continues, expanding and contracting. Many forms of geology catch my attention in this place. I slow my pace, and line up some compositions. Secretly I enjoy a moment to breathe and fill my lungs, under the guise of image making. Sometimes that is what it takes. 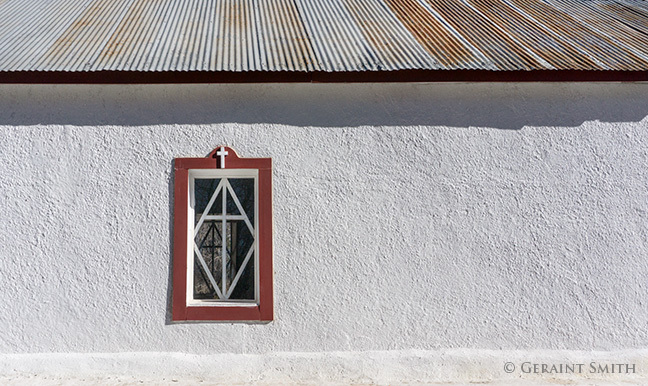 Little white chapel in the Española valley on the road to Chimayo, NM. On an annual photo tour on black Friday with clients form San Juan Capistrano, CA. Their family spend Thanksgiving in Santa Fe every year, it’s a pleasure to go photographing with them and show them some more of the beauty in northern NM. Beats the mall! 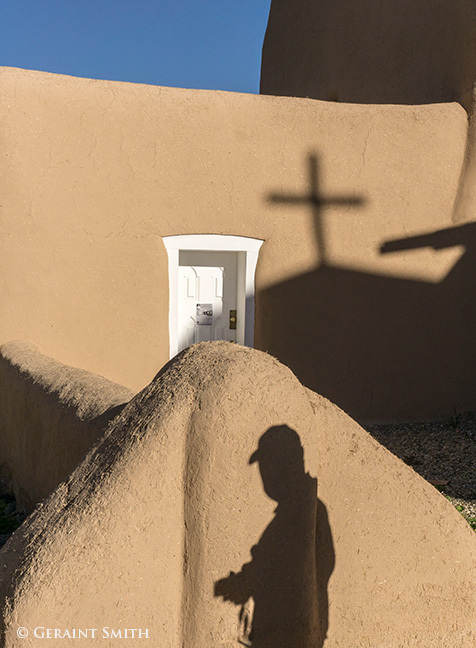 Waiting and watching, a photographer susses out a potential image as the shadow of the belfry cross, silently traverses the vestry wall at the St. Francis de Asis Church, Ranchos de Taos. In the meadows flanking Taos Mountain and girding the Taos Pueblo, the sunsets create a fiery glow on the red willows, warming up the cold, early winter evenings. Sunset this evening on Taos Mountain also known as Pueblo Peak. 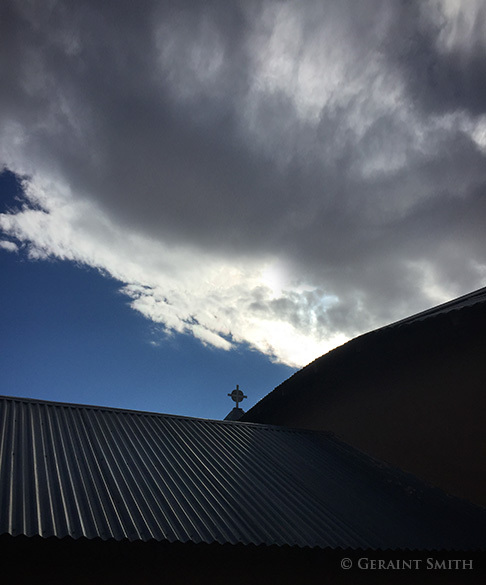 Under a brooding sky at the San Antonio de Padua, church in Valdez, NM. 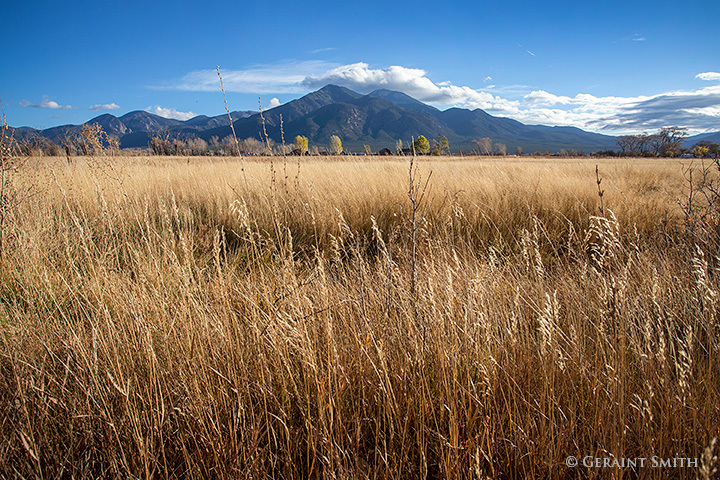 On a photo tour around Taos and vicinity. 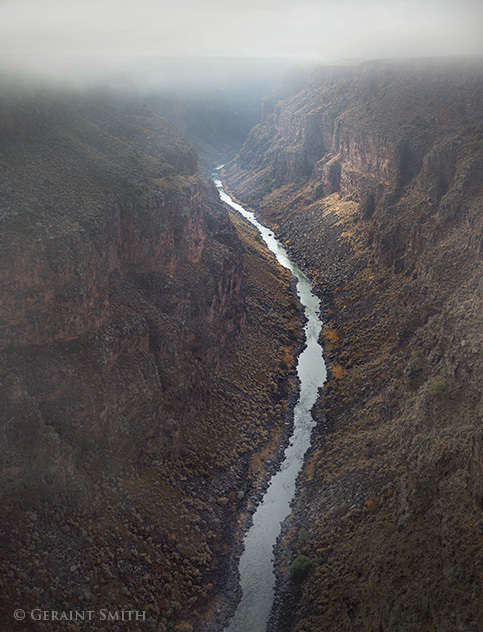 Fog lifting from the Rio Grande Gorge. 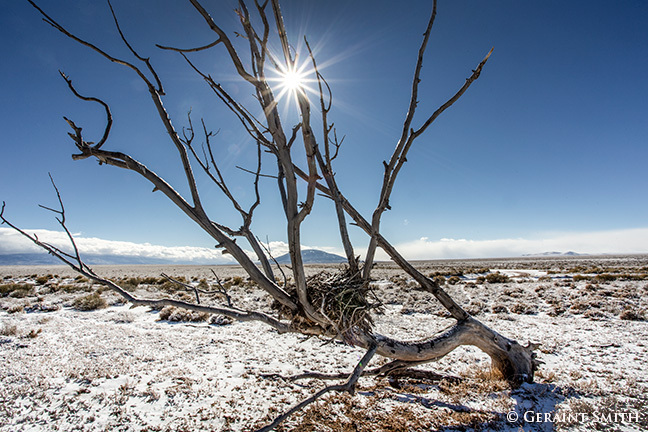 The Rio Grande Rift, is an extraordinary feature of the Rio Grande del Norte National Monument, in northern New Mexico. 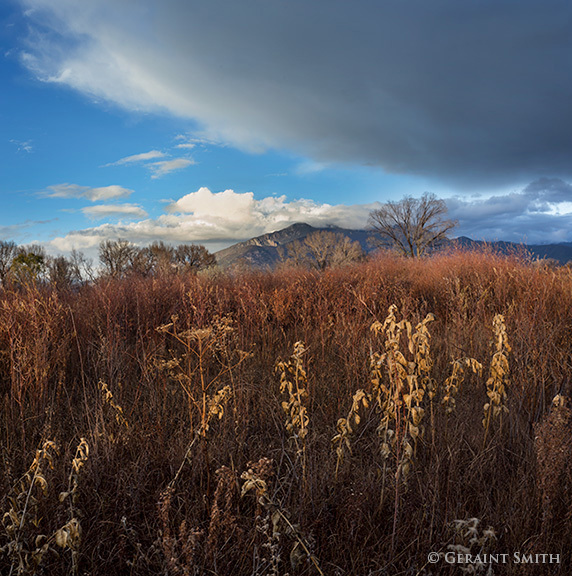 When the full “Super Moon” was rising last week over the Sangre de Cristos, this scene was at my back. Always remembering to look behind me it felt like I’d gotten a bonus. Taos Mountain through the red willow and milkweed. One of the routes I take driving home each day, passes R.C. Gorman’s home, north of the town of Taos. 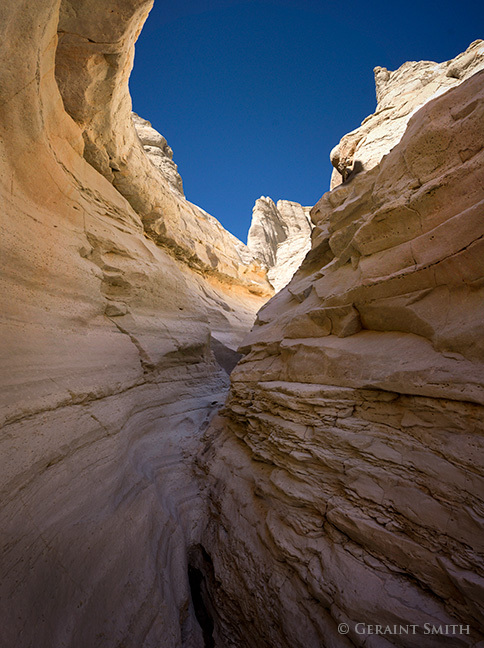 In this image I was attracted to the linear elements and the layers. The storm left a rainbow in it’s wake across the fields to the mountain. A great location for sky watching in El Prado, NM. In a meadow wide, rolling in the wind, swaying in mind, the mountain’s resolve, carries a thought home.